In February 2019, APU Alumni Indonesia Chapter will hold an annual gathering to welcome new graduates from APU who return back to Indonesia, and also to introduce them to the APU Alumni Association. The event offers an opportunity to exchange thoughts and ideas through interactive talks given by alumni. This time, we will bring up the topic of “Creative Business and Leadership” to highlight the emerging trend of startup industry in Indonesia from the perspective of alumni who are currently striving in the related field. 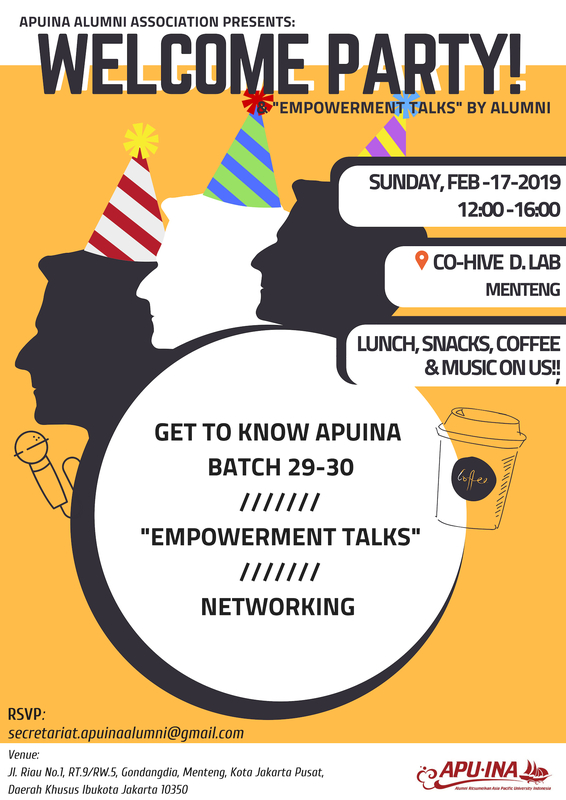 Let’s get to know fellow APU Alumni in Indonesia and expand your network!